Let your guests sit back, relax with a wine in hand and watch the magical sunset the esplanade has to offer Perfect for amazing photo opportunities. The Grange Hotel is located 15 minutes from the Adelaide Airport and less than 25 minutes to the CBD. From the moment your guests arrive they will experience the years of expertise and experience that the Grange Hotel has to offer. Prefer to make your reservation via phone? You can make a reservations by calling (08) 8356 8111. Bookings in the restaurant for 10 or more require a $10 per head deposit. 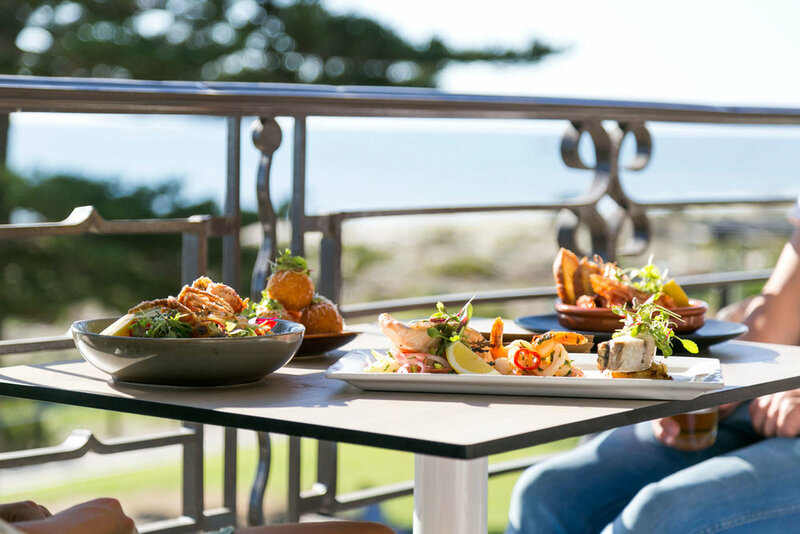 Located on the upstairs level of the hotel, The Grange Hotel function room offers uninterrupted views of the coast and the jetty with full wrap around balcony to enjoy it. With capacity for one hundred people for a cocktail function or 40 people for a more intimate sit down dinner, the airy and light filled room can suit a variety of events is ideally suited for everything from weddings and engagement parties to birthdays. This fully private stylish and sophisticated room has bar and bathroom facilities, large screen TVs and disabled lift access. With platters of function food available from our award winning menu, and extensive wine list and drink package options we can cater to you in every way.